Heat waffle iron; grease with vegetable oil or shortening. Stir ingredients until blended. Pour onto center of hot waffle iron. Close lid of waffle iron. 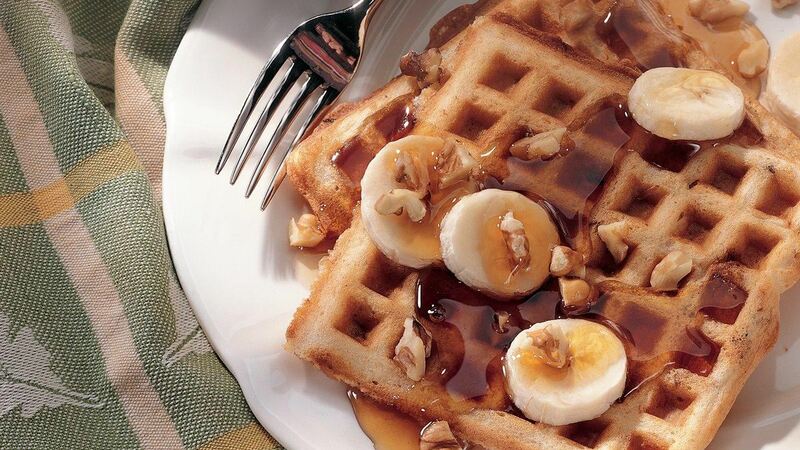 Serve With: For a quick dessert, top these banana waffles with hot caramel sauce and a dollop of whipped cream! Time Saver: Waffles can be frozen and thawed for later use. Just pop them in the toaster for a quick morning bite. How-To: To mash bananas quickly, place bananas and milk in a blender or food processor and blend until smooth.